Bob Armstrong, CITP, PLog, CMILT, is President of Armstrong Trade and Logistics Advisory Services Inc. (ATLAS). 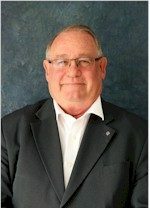 Bob has over 40 years of experience in the fields of Global Supply Chain, International Trade, Cross Border Logistics and Customs Regulations and procedures. Bob also served as President of Supply Chain & Logistics Association of Canada (SCL) from November 2007 to July 2012. Bob Armstrong further served as President and CEO for the Canadian Association of Importers and Exporters Inc. for nine years and as President of the Association of International Automobile Manufacturers of Canada (AIAMC) for nine years. Bob has developed and led trade logistics missions to Hong Kong and China, SE Asia and the USA and has extensive experience assisting Canadian companies to find new sources of supply and/or customers for their products while ensuring their goods are moved cost effectively, efficiently with visibility and supply chain resilience to and from global markets. Bob Armstrong is a known national and international speaker, author, and expert on issues related to International Trade, Cross-Border Logistics, the Global Supply Chain, and Customs and Security issues. Bob is very active on the Board of Directors of the St.Lawrence Seaway Management Corporation as Ontario government representative, Ontario Chamber of Commerce (Past-Chair), Past National Chair, of Hong Kong Canada Business Association. Director of Lindsay & District Chamber of Commerce and Vice-President on the Board of the Lindsay Golf and Country Club.